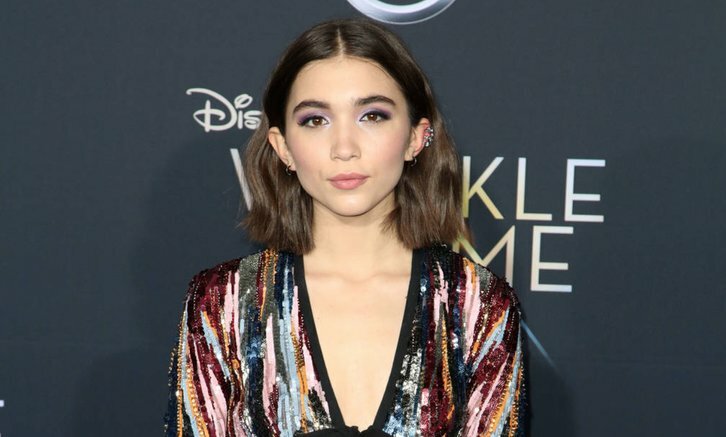 Rowan Blanchard (Girls Meets World, The Goldbergs, A Wrinkle in Time) has joined the cast of TNT's futuristic thriller, Snowpiercer, per Deadline. Blanchard will guest star during Season 1 but has the option to become a series regular should the drama be renewed for a second season. Set seven years after the world has become a frozen wasteland, Snowpiercer centers on the remnants of humanity who inhabit a gigantic, perpetually-moving train that circles the globe. Class warfare, social injustice and the politics of survival are questioned in this riveting television adaptation. Netflix will internationally distribute the series much like another TNT series, The Alienist. Graeme Manson (Orphan Black) showruns the sci-fi drama. A premiere date has not yet been set. Blanchard will play Alexandra, a self-assured 17-year-old, wise beyond her years, with mysterious connections to the history of Snowpiercer. Blanchard joins a large ensemble including series regulars Jennifer Connelly, Daveed Diggs, Iddo Goldberg, Mickey Sumner, Susan Park, Benjamin Haigh, Sasha Frolova, Katie McGuinness, Alison Wright, Annalise Basso, Sam Otto, Roberto Urbina, Sheila Vand, and Lena Hall. Recurring cast members include Steven Ogg, Jaylin Fletcher, Aleks Paunovic, Shaun Toub, Kerry O'Malley, Aaron Glenane and Fiona Vroom. Snowpiercer is a co-production of Tomorrow Studios and Turner's Studio T, along with CJ Entertainment. The series is executive produced by Tomorrow Studios' Marty Adelstein (Aquarius, Prison Break, Teen Wolf) and Becky Clements (Good Behavior, Aquarius, Last Man Standing). The original film's Bong Joon Ho, Park Chan-wook, Lee Tae-hun and Dooho Choi are also executive producers on the series.